The Dixon Clan were represented at the Clans of Ireland AGM at the Mansion House in Dublin in April 2013 by Ceann Fine Donal Dixon of Castleknock. 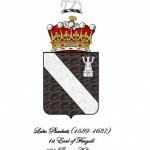 This clan organisation trace its pedigree back to Edward Dixon of Meath who was born in 1516. Through marriage the Dixons of Meath are also related to the Barons Louth, Barons of Galtrim and Earls of Fingal. One of the family’s ancestors, the Rt. Hon. Francis Agard, is buried alongside his daughter Lady Cecily Harrington, at Christchurch Cathedral in Dublin. The family are also related by marriage to the Hussey family, Barons of Galtrim, who came to Ireland with Strongbow in the reign of Henry II. The Dixon Clan are in the process of writing up their rich history and pedigrees before officially launching the website. They are also in the process of joining the Dixon DNA project. The Dixons are a sept of Clan Keith in Scotland. The Current Chief of Clan Keith is James William Falconer Keith, 14th Earl of Kintore.